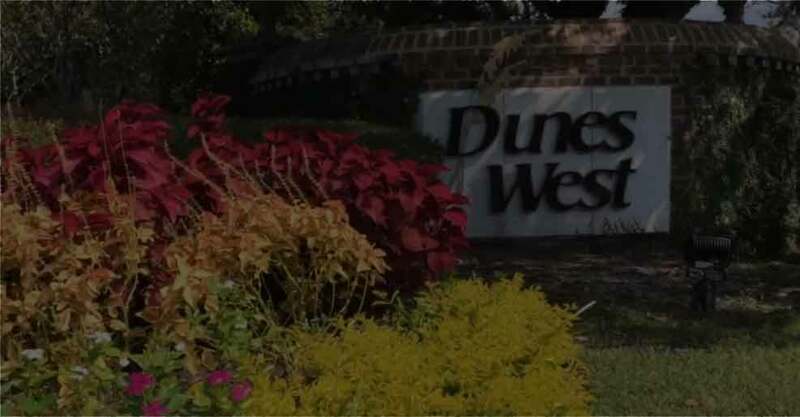 Making your way along the magnificent oak-lined drive leading to an antebellum-inspired clubhouse can mean only one thing–your day on the greens at Dunes West Golf Club is about to begin. Located on the site of historic Lexington Plantation, the clubhouse was designed to capture the true flavor of the region’s legendary Southern charm. Situated in a premier 2,700-home community in Mount Pleasant, South Carolina, a sense of the past seems to linger amid Bermuda-grass-covered dunes and ancient Spanish-moss-draped live oaks that intertwine with the modern wonder of this 18-hole championship course. The mood is set for another extraordinary day on the links. The course was designed by architect Arthur Hills, who has been designing and restoring golf courses for more than four decades. He has built a reputation for creating one-of-a-kind golf experiences while maintaining a balance between environmental issues and the needs of his courses’ surrounding communities. His goal is to build courses that challenge the best players yet are enjoyable and playable for golfers of all skill levels. Taking full advantage of this fabulous setting, Hills achieved success with the nationally acclaimed Dunes West Golf Club. Built in 1991, the course has been ranked by Golf magazine as a “must play course” and by Golf Digest as a “Top Ten New Resort Course.” Dunes West also was cited as one of “America’s Best 50 Courses” by Golfweek, and hosted the nationally televised Amoco-Centel Championship. Always spectacularly maintained, the par 72, 6,871-yard masterpiece winds its way along creeks and marshes, and its tree-lined fairways and generous landing areas invite booming drives. But beware: Water hazards and marsh pinch the wide fairways, and a number of strategically-placed bunkers lure errant shots. Club members enjoy a pro shop, locker rooms with showers and a restaurant with an extensive breakfast and lunch menu. In addition to hosting major golf events, the course’s clubhouse has been the site of more than 1,000 picturesque weddings, receptions and socials.